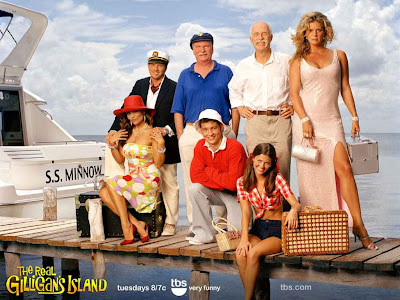 “Hey, we should do a reality show where we take ‘Gilligan’s Island’ and make it, you know, real. We’ll have a guy dressed as the skipper, a guy dressed as the Professor. A Maryann and a Ginger. It’ll be great. 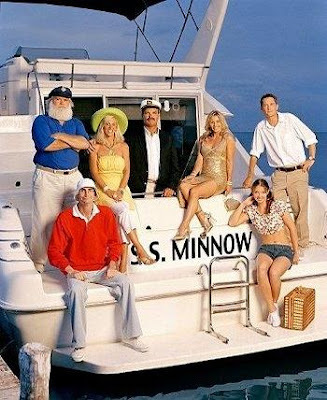 They’ll dress like the castaways of that show and they’ll compete, kind of like Survivor, but they’ll be dressed as the cast members of the SS Minnow. I know what you’re thinking- we’ll never be able to fill the role of Ginger with someone hot enough- well, don’t worry about it- each season we’ll cast that part- Rachel Hunter will be the first- and we’ll have these people on the show compete with a celebrity who’s on the show for no apparent reason. People won’t care, don’t you understand? 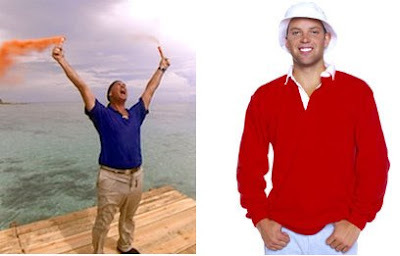 This is like Survivor, only the contestants ARE DRESSED LIKE THE CHARACTERS FROM GILLIGAN’S ISLAND! Why this show was made let alone lasted for two seasons is a mystery akin to who made the pyramids and what is the origin of the universe. I can’t pretend to tell you why they cast the role of Ginger, yet still had her compete with the other nobodies on the show nor can I tell you why this show was made 40 years after the original, Gilligan’s Island was on the air. Yet again, a reality show where getting eliminated is much better than winning. "Hey, why are you dressed like Mrs. Howell?" "Oh, I was on The Real Gilligan's Island and lost so they sent me home." "So now you don't have to eat bugs and dress like Mrs. Howell? I wouldn't call that a loss."